My almost-8-year-old daughter’s refrain rings from the hallway as she stomps to her bedroom. 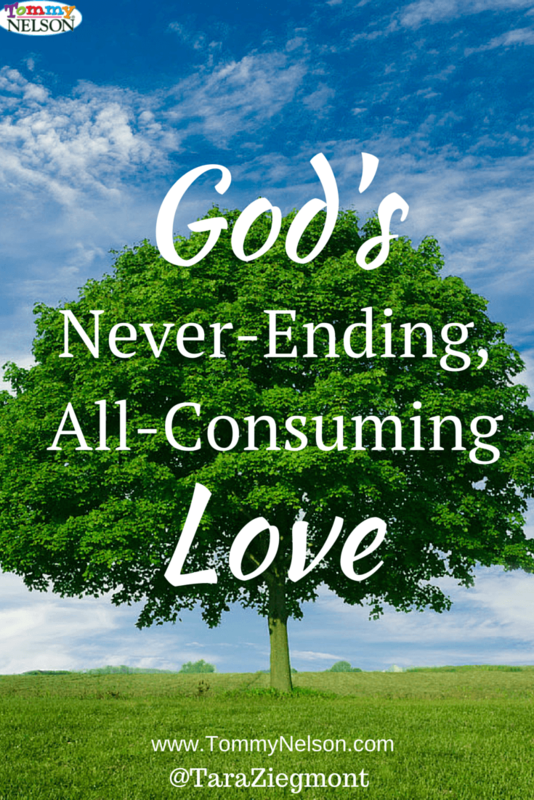 Getting our kids to understand the enormity of God’s never-ending, all-consuming love can be a challenge, especially when we can’t quite grasp it ourselves. They can’t understand how we could love them no matter what, and they can’t understand how He could love them even more than we do. Your kids can’t understand the length, width, and breadth of the love of God now, and they will never fully comprehend it. But it can be your refrain to them over and over and over again. I’m talking more about this on the Faithgateway blog today. I hope you’ll stop by there and chime in! This entry was posted in Blog and tagged Jesus Calling for Kids, Jesus Calling for Little Ones, Sarah Young, Tara Ziegmont by Tara Ziegmont. Bookmark the permalink.